Internet technology has brought about the birth of new business models in different industries. For instance, online auction is one of the new business models in grocery retailing. This provides the consumers with new ways for buying groceries. However, the concept stills need wider explanation as the businesses may not have a definite idea on how to apply it. Groceries are big business, but experts say that such a business model is thing of the past. Why? The grocery retail model was introduced in 1916, when a self-service grocery store was opened in Memphis by Piggly Wiggly. It promoted growth of the new industry, which allows the customers to select the products they want. When it comes to grocery shopping, three aspects are crucial, namely price, quality, and convenience. People are interested to come when the grocery store offers alluring discount prices. That is why supermarkets put big banners to tell the customers that they have sales. In fact, experts say that the grocery shopping model has been virtually the same since it was first introduced in 1916. In other words, the core model introduced by Piggly Wiggly is still maintained now. Price still matters the most. As long as the grocery stores can offer the most competitive prices, they have the largest chances to survive. Many years later, new business models in grocery industry were introduced. Different innovations like online grocery shopping and online auction appeared. 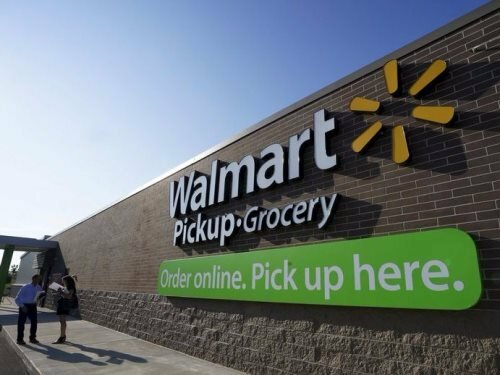 Now, big retailers like Walmart, Amazon/Whole Foods, Ahold-Delhaize, Albertsons, and Kroger are now the leading grocery retailers. However, when it comes to price discounts, Aldi and Lidl are the leaders. Each company is able to sell private product labels at discounted prices. For customers, this is exciting offer, but for competitors, this is a threat. Grocery shopping involves individual maneuver. In other words, every shopper buys groceries based on his/her need. In no cases do the shoppers purchases the products in pool. Why? The shoppers now have no advantage of pooling the products at the same time. They can get the products easily anytime they are in need. The new business models in retail industry is grocery shopping. This new approach encourages the shift from individual activity to a massive team sport. The logic i simple. When you buy more products at once, unit cost of each product is reduced. You only pay once for shipping costs. You only need to allocate your time once and spend your energy once. Some retailers have been shifting to this new model. Examples are BJs Wholesale and Boxed as well as Costco. They buy massive amounts of products and sell them in bulk at lower prices to the customers. Studies show that buying products in bulk save the customers more money while increasing the purchasing power of each dollar they spend. It is true that the model is still to emerge now. However, it may become a reality in the near future. Many aspects influence how it works. Make sure to check them out in the next post.